From the earliest of times, the zodiac has been universally used to predict or reflect characteristics of personality. The word ‘zodiac’ originates from the Greek ‘ζoδιακός’ or ‘zōdiakos’ as the term used to describe the circle of twelve 30° divisions of celestial longitude that are centred upon the ecliptic, or the path of the sun. The term zodiac derives from Latin zōdiacus, which in its turn comes from the Greek word meaning "circle of animals". The classical map of the sky, with the 48 Greek constellations, was derived from at least two different pre-Greek traditions. One tradition comprised the 12 signs of the zodiac, with several associated animal constellations, all of which developed over 3,200 – 500 BC in Mesopotamia in a religious or ritual tradition. These were taken over by the Greeks around 500 BC. However, the other Babylonian constellations, their farming-calendar tradition, were not adopted. The other tradition was not Mesopotamian; it comprised large constellations which appear to date from 2,800 BC, probably from the Mediterranean region, devised for the navigators of ships. They include huge bears and serpents which marked the celestial pole and equator at that time, and probably the four anonymous giants which we know as Hercules, Ophiuchus, Bootes, and Auriga, as well as some of the large southern 'marine' constellations. The origins of some other constellations, including the Perseus tableau and various animals, are unknown. It is currently concluded that among the ancient European peoples, astrology dates to the third millennium BC. There have been suggestions that the Bible contains hidden allegories to describe astronomical events. A calculation of Biblical chronologies led the Bishop Usher to announce a date of 4004 BC as the date of Creation, and only 200 years short of the start date of the age of Taurus on the precessional clock and the same time several 'Bull cults' appeared in the historical record. Some authors have linked the 12 tribes of Israel with the 12 signs of the zodiac. It is arguable that the large emphasis placed on Moses and the Israelites 'escape' from captivity is because it was at this very time (as it was later at the time of Christ), that the astrologers of the time were aware of a change in the precessionary clock (from the age of Taurus to the age of Aries) an event which would have been proclaimed with prophesies and predictions. When Moses was said to have descended from mount Sinai with the Ten Commandments, some of his people or followers were found by him to be worshipping a golden bull calf. He instructed these false idol-worshippers to be killed. This is said to represent Moses "killing" the bull and ending the Age of Taurus, thus ushering in the Age of Aries. The Swiss psychiatrist and psychoanalyst Dr. Carl Jung brought astrology into the forum of science through his research into the symbolic meaning of his patient's dreams, conversations, and paintings. Jung observed recurring mythical themes or archetypes and proposed that these universal and timeless archetypes channel experiences and emotions, resulting in recognizable and typical patterns of behaviour with certain probable outcomes. Jung claimed to observe a correlation between these archetypal images and the astrological themes or traditional 'gods' associated with the planets and signs of the zodiac. He concluded that the symbolic heavenly figures described by the constellations were originally inspired by projections of images created by the collective unconscious. Jung's psychological astrology still links the psyche to the cosmos, but it is not deterministic. Nor is an individual's everyday life ruled by the positions of the planets. He wrote "Astrology represents the sum of all the psychological knowledge of antiquity", but he also recognised a subtle difference with traditional astrology in that he believed that astrological claims of correlations between the position of heavenly bodies at the time of birth and an individual's development were acausal and not actually directly caused by the planets. Something which led him to develop his concept of Psychological Astrology, which Jung compared to Aristotle's formal causation, which posed that "whatever is born or done at this particular moment of time, has the quality of this moment of time". Birthstones: March birthstones are Aquamarine and Bloodstone. The April birthstone is Diamond. Gemstones: Anyolite, Aquamarine, Aventurine, Bloodstone, Brecciated Jasper, Cat's Eye, Citrine, Clear Quartz, Diamond, Emerald, Garnet, Hematite, Jade, Jadeite, Kyanite, Magnesite, Magnetite, Ruby, and Sardonyx. Birthstones: The April birthstone is Diamond. May birthstones are Emerald and Chrysoprase. Gemstones: Carnelian, Cat's Eye, Chrysocolla, Chrysoprase, Clear Quartz, Copper, Coral, Diamond, Emerald, Iolite, Jade, Kyanite, Lapis Lazuli, Lava Stone, Rhodonite, Rose Quartz, Rutile, Selenite, Blue Tourmaline and Variscite. Birthstones: May birthstones are Emerald and Chrysoprase. June birthstones are Pearl and Moonstone. Gemstones: Agate, Apatite, Aquamarine, Chrysocolla, Chrysoprase, Citrine, Clear Quartz, Dendritic Agate, Emerald, Howlite, Jade, Leopard Skin Jasper, Onyx, Pearl, Peridot, Rutile, Blue Sapphire, Green Sapphire, Serpentine and Variscite. Birthstones: June birthstones are Pearl and Moonstone. The July birthstone is Ruby. Gemstones: Calcite, Carnelian, Chalcedony, Clear Quartz, Lava Stone, Moonstone, Opal, Pearl, Ruby and Silver. Birthstones: The July birthstone is Ruby. August birthstones are Peridot and Sardonyx. Gemstones: Amber, Aventurine, Bronzite, Carnelian, Chrysoberyl, Citrine, Clear Quartz, Diamond, Garnet, Gold, Jasper, Labradorite, Onyx, Peridot, Petrified Wood, Picasso Jasper, Picture Jasper, Pyrite, Rhodochrosite, Ruby, Yellow Sapphire, Sardonyx, Sunstone, Tiger Iron, and Topaz. Birthstones: August birthstones are Peridot and Sardonyx. The September birthstone is Sapphire. Gemstones: Agate, Almandine, Amazonite, Amethyst, Carnelian, Chalcedony, Chrysocolla, Clear Quartz, Dalmation Jasper, Garnet, Jasper, Magnetite, Moss Agate, Peridot, Sapphire, Snowflake Obsidian, Sugilite and Tourmaline. Birthstones: The September birthstone is Sapphire. October birthstones are Opal and Pink Tourmaline. Gemstones: Ametrine, Bloodstone, Bulls Eye Agate, Chrysoprase, Citrine, Clear Quartz, Emerald, Iolite, Jade, Kyanite, Lepidolite, Malachite, Moonstone, Nephrite Jade, Opal, Prehnite, Rose Quartz, Sapphire, Sunstone and Tourmaline. Ruling Planet: Traditionally, Scorpio has been ruled by the planet Mars, however, since its discovery, Pluto has been considered a modern ruler of this sign. Birthstones: October birthstones are Opal and Pink Tourmaline. November birthstones are Yellow Topaz and Citrine. Gemstones: Almandine, Aquamarine, Botswana Agate, Boulder Opal, Brecciated Jasper, Charoite, Clear Quartz, Jasper, Kambaba Jasper, Labradorite, Malachite, Moonstone, Obsidian, Opal, Peridot, Rhodochrosite, Ruby, Smokey Quartz, Topaz, Turquoise, Unakite and Variscite. Birthstones: November birthstones are Yellow Topaz and Citrine. December birthstones are Turquoise, Blue Topaz and Lapis Lazuli. Gemstones: Amethyst, Chalcedony, Charoite, Clear Quartz, Copper, Iolite, Labradorite, Lapis Lazuli, Obsidian, Peridot, Ruby, Sapphire, Seraphinite, Smokey Quartz, Sodalite, Topaz, Turquoise and Vesuvianite. Birthstones: December birthstones are Turquoise, Blue Topaz and Lapis Lazuli. The January birthstone is Garnet. Gemstones: Amethyst, Aragonite, Cat's Eye, Clear Quartz, Fluorite, Ocean Jasper, Magnetite, Malachite, Smokey Quartz, Tiger Eye, Black Tourmaline, Green Tourmaline, Tourmaline Quartz and Vesuvianite. 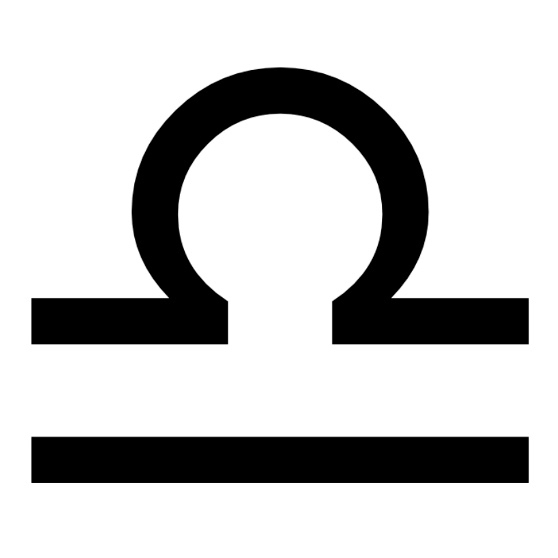 Ruling Planet: Traditionally, Aquarius has been ruled by the planet Saturn, however, since its discovery, Uranus has been considered a modern ruler of this sign. Birthstones: The January birthstone is Garnet. The February birthstone is Amethyst. Gemstones: Amber, Amethyst, Angelite, Aquamarine, Chalcedony, Clear Quartz, Feldspar, Fuchsite, Garnet, Hematite, Larvikite, Magnetite, Silver and Turquoise. Ruling Planet: Traditionally, Pisces has been ruled by the planet Jupiter, however, since its discovery, Neptune has been considered a modern ruler of this sign. Birthstones: The February birthstone is Amethyst. March birthstones are Aquamarine and Bloodstone. Gemstones: Amethyst, Aquamarine, Bloodstone, Blue Lace Agate, Clear Quartz, Coral, Fluorite, Opal, Shell, Turquoise.